Noke Bluetooth Controlled Padlock That Unlocks With Your Phone! 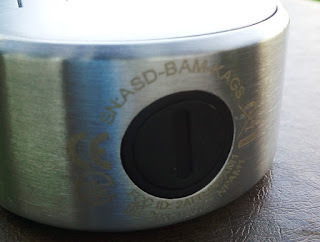 Today I'm reviewing a nifty gadget, called Noke, that brings padlock technology into the 21st century with a keyless padlock that uses Bluetooth wireless technology and your smartphone to unlock quickly and easily. Simply press the shackle on the Noke padlock and you are ready to go! The instructions for setting up the Noke padlock are straight forward. First download the Noke app on your smartphone or tablet. Once it is installed in your device, open it and click Create Account on the bottom left corner. From there, follow the prompts that will ask you to add your name, email address, password, user photo and three security questions. When you are done, tap the Register Button and a confirmation email will be sent to your email address. Once you have confirmed your email, you will be able to log in from the Noke app. Once logged in, click on the plus sign (top right corner) to add your Noke padlock. Then, you'll be prompted with a prompt that says "Press the shackle to wake Noke" and wait for the next prompt that will give you the option to name the Noke padlock and set the Quick Click code, which is done by selecting a series of short and long taps that you will be able to enter in using the shackle in case your phone is unavailable or the phone battery dies. Once you are done setting the Quick Click code, you will be prompted with the Auto Lock prompt that allows you to automatically unclock your Noke padlock by squeezing the shackle when your phone is nearby. If you do not want the Auto Lock feature on, you can turn it off. The last prompt is the Save Lock prompt where you click save to program all the information you have just entered into your Noke padlock. Then, press down on the shackle and press OK on the app to finish set up. Set up is complete now. Make sure to keep the Noke padlock close to the device while you are setting up the Noke padlock instructions for a smooth set up. The entire set up takes a couple of minutes. I really like the fact that with the app you can quickly give access to your Noke padlock with a simple click without the hassle or risk of giving up your key. 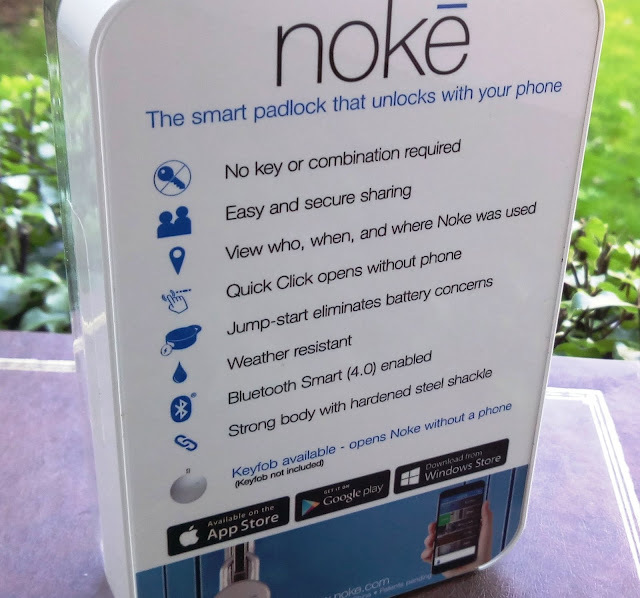 Also, the makers of the Noke padlock have really thought of every possible eventually such as the phone battery dying or not having the phone with you by incorporating a Quick Click Code feature that allows you to create your own access code to use when your phone is unavailable. Noke is a keyless entry padlock that offers an alternative to combination padlocks and traditional padlock keys. You can easily and conveniently unlock the Noke padlock without having to take out your phone from your pocket or bag. The iOS and Android app allows sharing to be done on a one-time basis, multi-use basis or any other customized schedule you need. The Noke padlock has a water resistant shell, it's free from any external buttons and works with a user-replaceable 2032 coin cell battery that last around a year. The Noke padlock comes with an emergency access code so you won't be stranded when locking your bike, locker, etc. 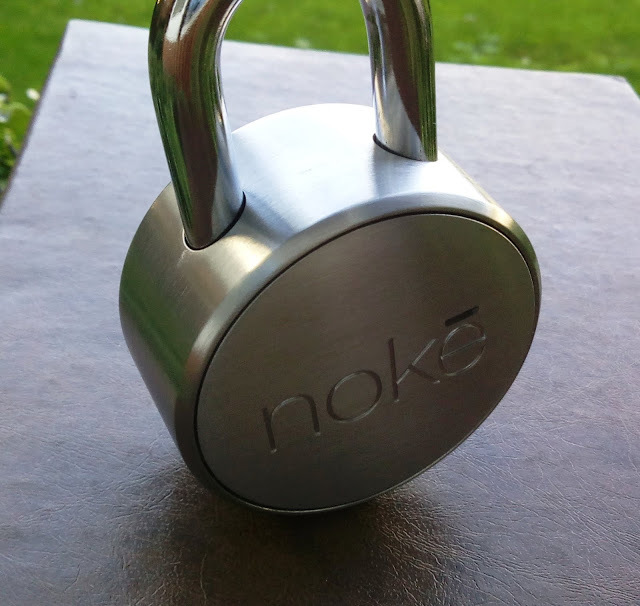 Check out the Noke Bluetooth Padlock.